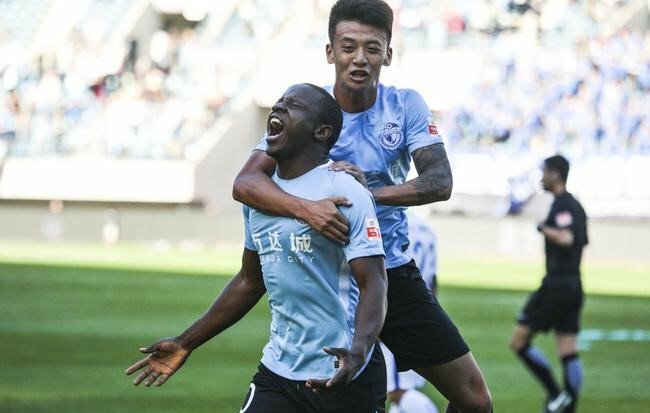 China-based Nyasha Mushekwi scored his first goal of the season yesterday, netting the consolation in Dalian Yifang’s 2-1 home loss to Tianjin Teda. The visitors had secured an early lead on the quarter hour, but Zimbabwean striker cancelled it out in the 52nd minute. The advantage was soon restored when Teda scored in the 82nd minute to put the game to death. Mushekwi played the entire match which was his second appearance of the 2019 Chines Super League season after missing the opening two games of the campaign. Meanwhile, the forward ended last season with fifteen goals in twenty appearances.